New Leaf has loaded their summer fares from Abbotsford to Edmonton, Winnipeg, and Hamilton. 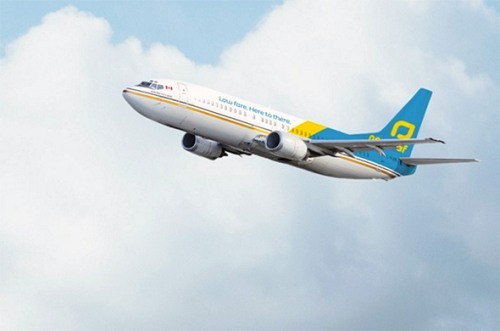 Up until now, fares were only available for flights up to the end of April. The prices aren't as extraordinary as we've come to see from New Leaf, but they are still less than half the price of WestJet and Air Canada's summer prices from Abbotsford and Vancouver. 2. Search for a flight from Abbotsford to one of the destinations above. NOTE: At the moment, you cannot select summer dates from the calendar to start your search. What you need to do is start a search by selecting dates between February and April. On the search results page, the calendar will now allow you to select summer dates. Update: New Leaf has now officially announced the summer fares on their website, and the calendar on the home page now allows you to choose summer dates right from the beginning. flight deals, ontario, canada, abbotsford, yxx, alberta, north america, winnipeg, ywg, manitoba, edmonton, yeg, new leaf, hamilton and yhm. One Response to "New Leaf summer fares from Abbotsford are now available"
- You have to Overnight (Near) YHM. - You can wait for New Leaf to have a Sale. 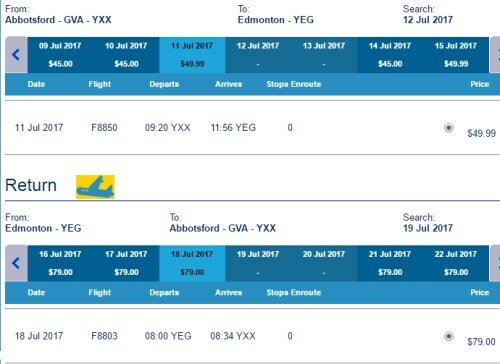 Last year (2016) I Flew AC YVR-( Overnight/YYZ)YHZ on July 26 for $336. In 2016 SEA-YHZ via PHL was on AA $C250 but you had to spend the day in Philadelphia- Not such a bad deal if you have the time.